2 Oct 2014, Singapore – Race promoter Singapore GP Pte Ltd announced early bird sale for the 2015 FORMULA 1 SINGAPORE AIRLINES SINGAPORE GRAND PRIX general tickets starts tomorrow (0900 hrs, Singapore time). Race fans can enjoy significant savings of up to 25% off regular ticket prices during the early bird phase for the eighth instalment of the world’s first Formula One™ night race slated on 18, 19 and 20 September. 2015 early-bird price for Stamford, Esplanade Waterfront and Padang Grandstand tickets have been lowered by up to 16% as compared to 2014. These grandstands are now priced at S$498. 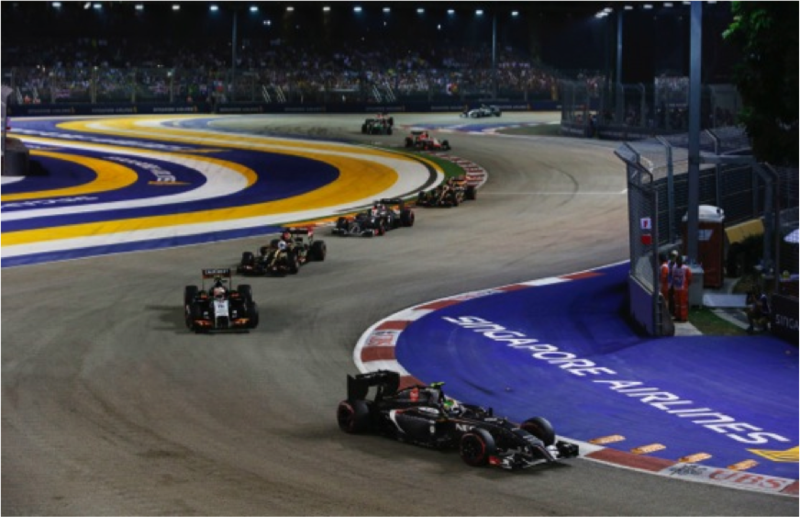 Three-day early bird ticket prices for the remaining grandstands are the same as 2014 FORMULA 1 SINGAPORE AIRLINES SINGAPORE GRAND PRIX. Early bird prices for the three-day grandstand tickets range from S$268 to S$1,088. For the first time, the hugely successful Group Booking Specials is now extended to the three-day Premier Walkabout and Stamford Grandstand ticket categories in addition to the Pit, Connaught, Esplanade Waterfront, Padang and Bay Grandstands. The Group Booking Specials offer fans fantastic savings when they purchase four or more tickets in a single transaction. To enjoy even greater savings, fans can purchase eight or more tickets in one single booking to save up to 20% off a single early-bird ticket. Petrolheads who are looking for more flexibility to explore the Circuit Park over the race weekend can also opt for one of the four combination packages. The Pit, Padang, Bay and Zone 1 Walkabout Combinations provides patrons access to different zones for each of the three days. www.singaporegp.sg, via the ticketing hotline +65 6738 6738 as well as all Singapore GP's authorised agents.